Throughout my performing career, I have always been motivated by a profound curiosity about the players of my instrument in early centuries and about the way their music must have sounded in those times. This curiosity has never had the aim of trying to reproduce exactly the sounds these earlier players made. That would be an impossible and ultimately self-defeating task. But I have always felt that such curiosity is essential in keeping alive my love for the instrument and its playing technique. Few musical instruments in use today have as discontinuous a playing tradition as the cornetto. We cannot be sure why and when the instrument ultimately died out, though the broad lines of the decline are described here. Though we do not know for sure when the last player finally put down his instrument in the 19th century, it is safe to say that the cornetto remained silent for nearly a hundred years before the first attempts at revival in the 1950s. In the past half century enormous progress has been made in sorting out the complexities of the instrument’s playing technique, but the very discontinuity of the tradition imposes upon us a special obligation to constantly re-evaluate our habits and assumptions. In doing this, I seek out and cherish any bit of direct contact with those earlier colleagues, whether it be cornetti in museums, antique organs, printed books or music. But I was particularly struck to discover this signature, carved into the case of the Lorenzo da Prato organ in San Petronio, Bologna, of cornettist Paolo Antonio Gongini, 1575, cornetto player of the original Concerto Palatino. Written together with Edward Tarr and Petra Leonards, this volume contains articles on the cornetto repertoire, surviving museum instruments, and historical theoretical sources. A Catalog of Music for the Cornett. Indiana University Press, 1996. Co-authored with Michael Collver, this book is a comprehensive catalog of surviving music for the cornetto and received rave reviews upon its publication in 1996.
. . . a major contribution to cornett research and belongs in the library of every cornettist.
. . . scrupulously detailed. . . The first successful attempt to provide a comprehensive reference book on the cornett and its music. Recommended for both upper-division undergraduate libraries and collections serving music scholars and performers.
. . . it will likely stand as the definitive bibliography of cornett music for many years.
. . . this is a groundbreaking study of the subject . . . likely to remain the only major study of the instrument and the music composed for it.
. . . every cornett player owes an immense debt of gratitude to [the authors and their assistants] for revealing such a wealth of performing opportunities . . .
Articulation in early wind music : a source book with commentary. A publication of the Schola Cantorum Basiliensis. Amadeus Verlag, 2007. This volume, written together with Edward Tarr is a comprehensive presentation of all historical sources on wind articulation from the 16th through the 19th centuries. Sources are presented in facsimile and in English and German translation. It also contains a lengthy preface discussing the nature and history of wind articulation. 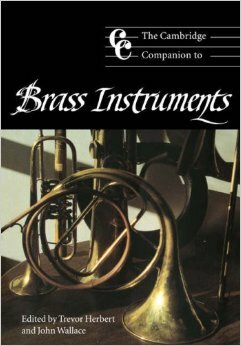 Cambridge Companion to Brass Instruments, Trevor Herbert and John Wallace, editors, Cambridge University Press, 1997. Contains a chapter by Bruce Dickey, The Cornett, pp. 51-67. A Performer’s Guide to Renaissance Music (Publications of the Early Music Institute, Indiana University), 2007. Contains a chapter by Bruce Dickey on Ornamentation in Sixteenth-Century music. A Performer’s Guide to Seventeenth-Century Music (Publications of the Early Music Institute, Indiana University), 2012. Contains chapters by Bruce Dickey on Cornett and Sackbut and on Ornamentation in Early Seventeenth-Century Italian Music. Beatrix Darmstädter. Die Zinken und der Serpent der Sammlung Alter Musikinstrumente. Sammlungskataloge des Kunsthistorisches Museums. Wien: Edition Bochinsky, 2011. With an article by Bruce Dickey, “Far buon stromento: A Survey of the Technique and Repertoire of the Cornetto in its Golden Age”, pp. 68-89. In 1997, together with his wife Candace Smith, he founded Artemisia Editions, a small publishing house which produces editions of music from 17th-century Italian convents, and which compliments the activities of Candace’s ensemble Cappella Artemisia.